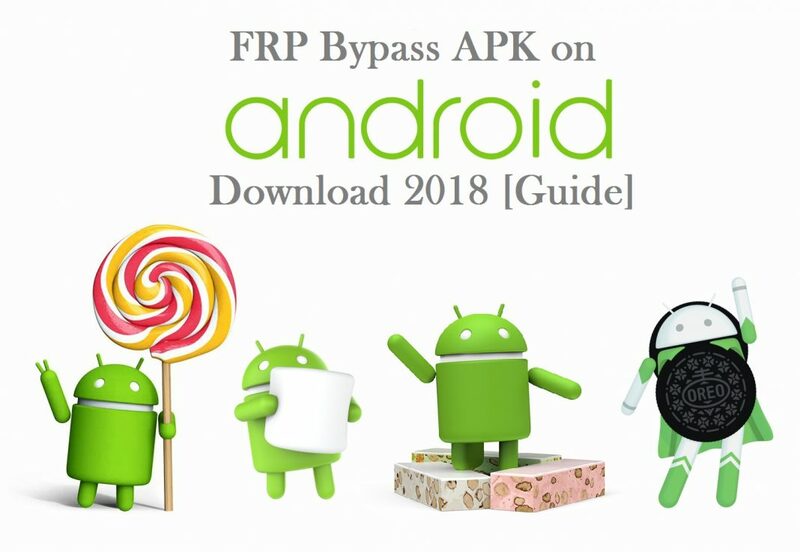 FRP Bypass APK allow the Android user to bypass the android device and secure your data even device is stolen, To Unlock Bypass FRP we need to understand the method provided in the article and allow the Android phone to function as per we operate it. 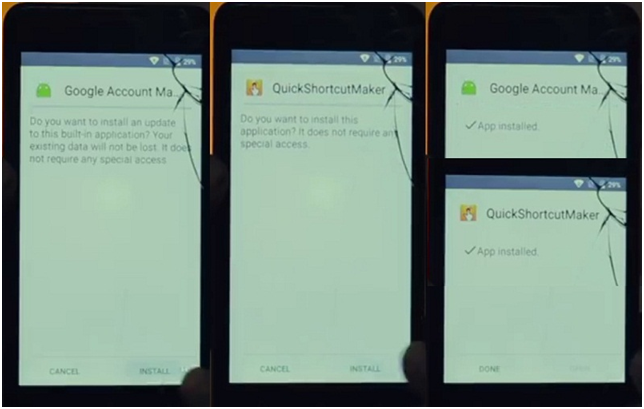 There is some FRP Bypass tool available in the market which can also help you to get perfect bypass Android method. 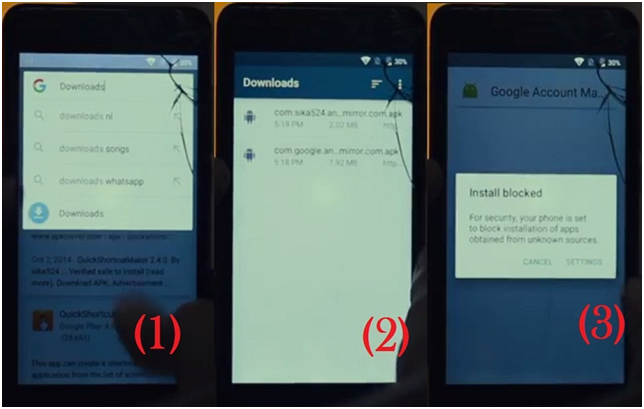 As we had already discussed the FRP Bypass in our previous article, Where we talk about the method of how we can bypass FRP on Android device but we received some message that our way get some problem or did not operate with the updated version of android phone so as per request my team study and tested on their devices the other method of FRP bypass APK. 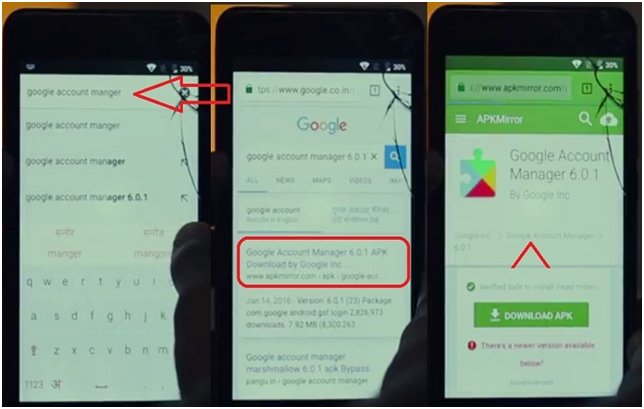 This FRP bypass AKP method will work on Lollipop, Marshmallow, Nougat and Oreo version of Android; this process is little longer than the previous way because we have to download a file in this method and the software file will operate to solve the problem of FRP Bypass on your android device. 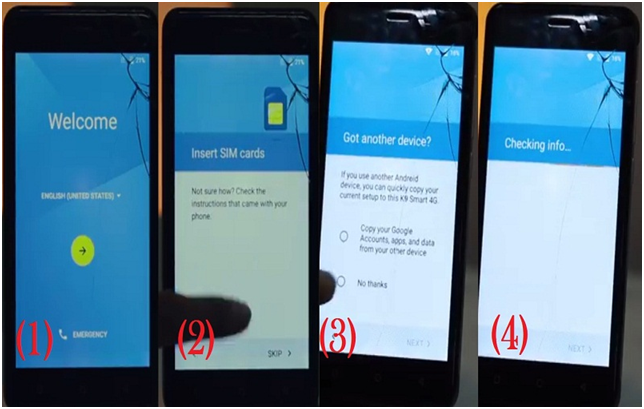 The main reason of this article is that few viewers didn’t solve their FRP bypass on their update device because of the smart security update in every version, so we will be discussing of how to bypass FRP lock with this latest trick. Take a Brief look at what is FRP? 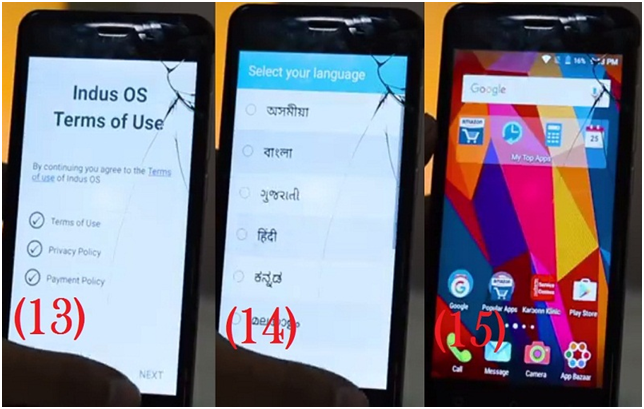 Google included another characteristic when he starts Android Lollipop version (5. 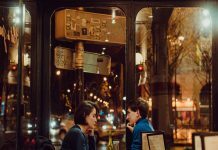 0) that’s a security-based characteristic to the Android device, What’s more, these offers sake is Factory Reset Protection (FRP). FRP is a characteristic that wholly to security your Android gadget from intimidation. With marshmallow and Nougat you get more security features, so that’s why my previous method did not work, this time we will use two apps to bypass FRP lock on your android device. 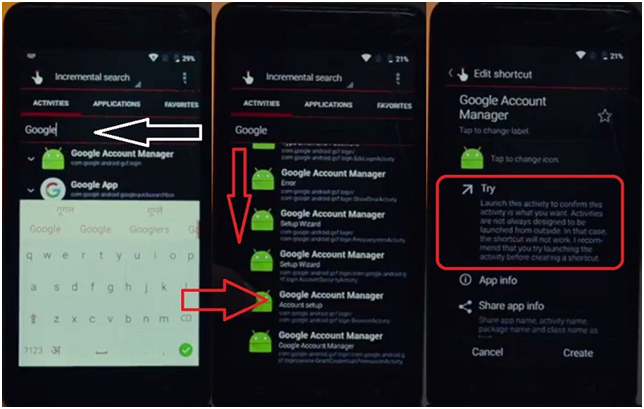 There are two apps which can help your Android device to bypass FRP lock. 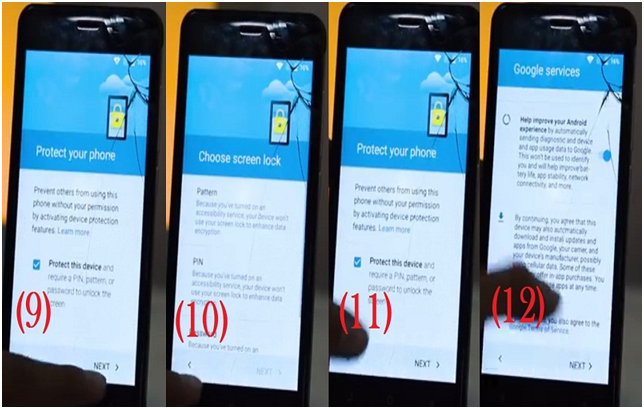 You will get the entire link in our article, but your phone is locked, so can’t send these APK to your phone. So we will directly download it and make it operate this APK file to your Android device. 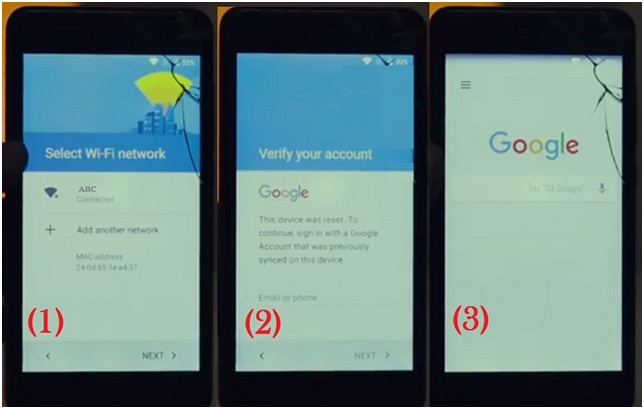 First of all, connect your Android phone to Wi-Fi internet and press N hold the home button to open Google now app. 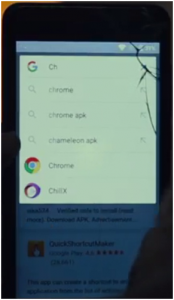 After opening Google now an app, have to write Chrome which is the internet browser, or you can type browser. 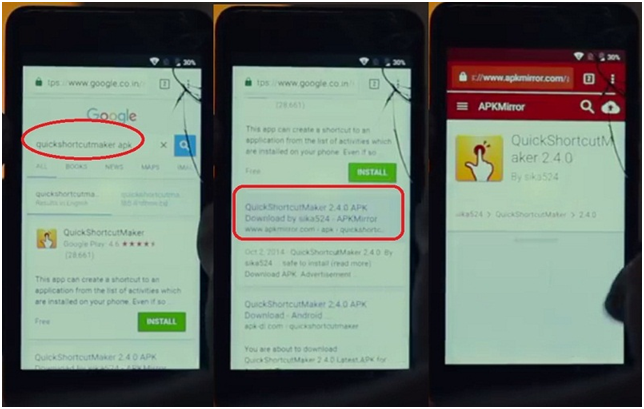 This will help you to open up the browser and download the APK file for bypass. Now in browser write Quick Shortcut Maker and open the first link and download it. Now go back to the browser menu and type Google Account Manager and download this app as well, click on the first link in the browser searched list. Make sure you download the correct version of Google account manager APK, which means if your android version is marshmallow than download it for marshmallow and if you have Nougat then download it for Nougat. After downloading both APK, go back to Google Now app and type Downloads, here you will get the room where your both app has been downloaded. So install both apps which we had already downloaded in above steps. You will get prompt from unknown sources, just enable it and install the app. Here you can see in the screenshot that I had installed both apps correctly. 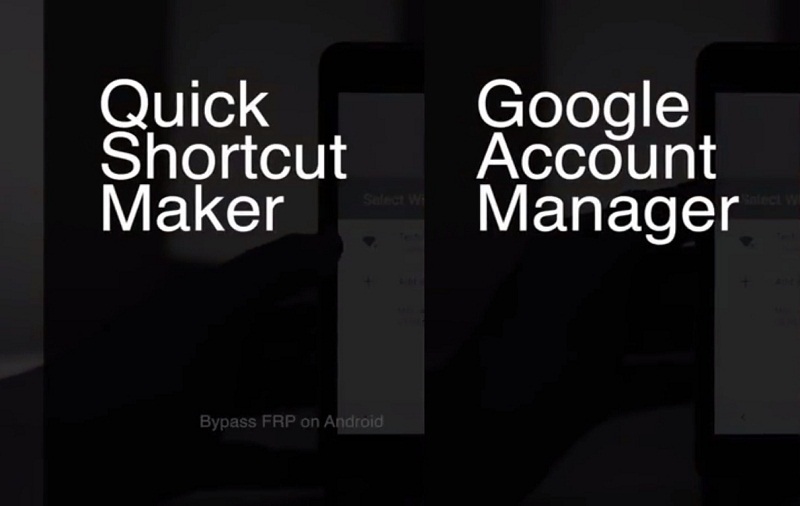 After you installed both the app now go to the Google Now app and type Quick Shortcut Maker and open this app. In this app find Google Account manager and hit on it. In this account manager scroll down to Account setup. Here you have entered in the Google Account Manager where you can launch the activity to confirm this activity in “Try” option. 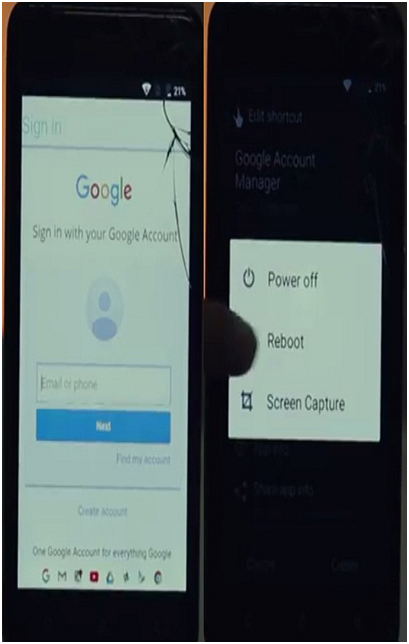 Now here sign it with any Google account and then restart your phone. Again you can see we are again at the welcome page, simply complete your setup as we did in a start and you have bypass your Android FRP (Factory Reset Protection) lock. You can check how to use survey remover tools which can help you our when you are on the internet browser world. 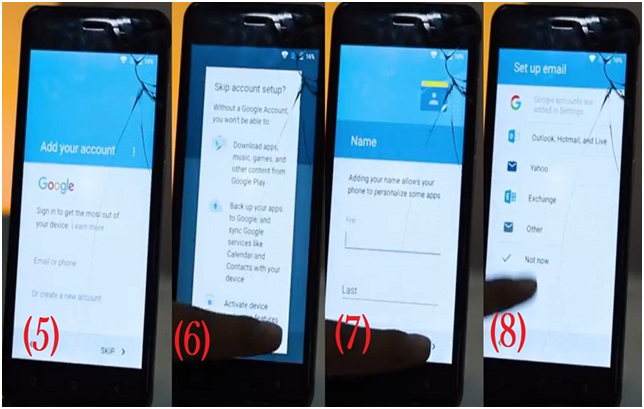 The above method works in update version up till Android Oreo & Nougat which is tested on the Android device by FRP Bypass APK 2019. If you are getting some trouble during bypass on your android device or after Factory Reset Protection phone have some issue then discuss with us so we can provide the solution without wasting any time.